Join us for an in-person day of education and networking around a day in the life of a networking professional! We will focus on the most important changes to the industry's mindset. Take advantage of this complimentary day of learning, including in-depth training and discussions, lunch, and opportunities to network with peers and other thought-leaders in your industry. All customer attendees will be entered into a raffle to win an Amazon Echo Spot. We’ll begin the day with a discussion of what Layer 3 Communications and Palo Alto Networks are seeing in the field. Specifically, we’ll be covering what we’re seeing in real, modern-day attacks on a minute by minute basis, with details of each step in the chain. From there, we’ll open discussion on what can be done to prevent these attacks. Anyone who has worked on firewalls for any length of time can tell you that policy hygiene is the hardest part of the job. From last minute troubleshooting changes, to rules that have survived three firewall migrations without anyone understanding why they’re there, firewall policy management for everyone. 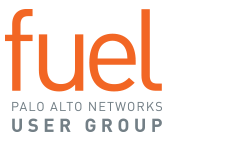 In this session, Layer 3 Communications and Palo Alto Networks will discuss best practices around firewall policy management. By the end of this session, you will have a simple list of changes to bring your firewall policy under control! In this session, we’ll share recommendations on how to move your policy change management to an automated process, and how to break the process down into stages. Attendees are encouraged to share their questions and previously encountered challenges to get ideas from other Fuel members. Get ready for a little friendly competition as we put our experts on the spot! Help us choose the questions you want answered, then hear our panel debate and discuss their best ideas. The most successful solution is the one that gets your vote! identifying important alerts vs "noise"
There’s more to gain from automation that just time savings. Cleaner, better aligned policies means better reporting, which means a faster response to new threats. Get ready for the fun part of our day as we talk about getting more from your data. We’ll cover everything from improved prioritization to SIEM reporting enhancements, and close out with a review of how behavioral analytics tools like Palo Alto Networks Magnifier are shaping the future of threat response. Remember our hapless hero? Find out how his day would have been different if he had implemented the tools and techniques we discussed today.